Q. 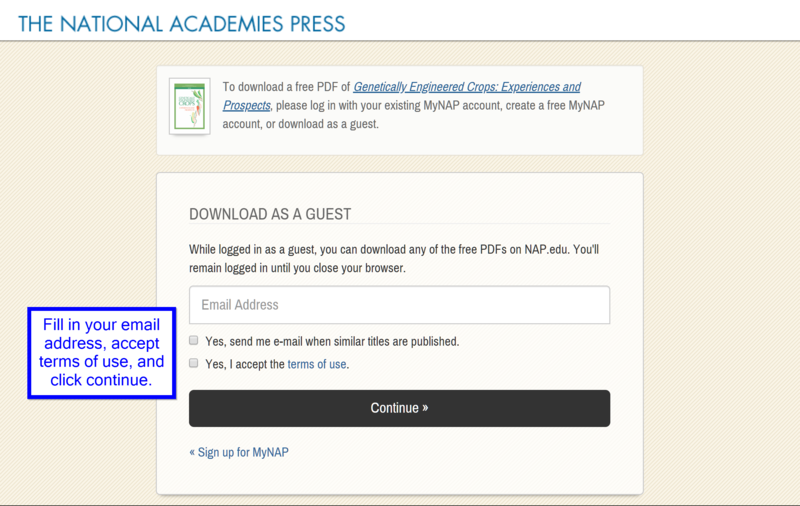 How do I access the National Academies Press ebooks linked in the catalog? Why are the National Academies Press books asking me to pay for the books? Why is the catalog taking me to a third party website for ebook access? The National Academies Press books are actually open access (free of charge) books, unlike many from other vendors, such as ProQuest Ebook Central. Thus, we are not getting them through a subscription, which is why they do not provide immediate access. There are a few steps involved in opening the files for free, outlined below. 1. 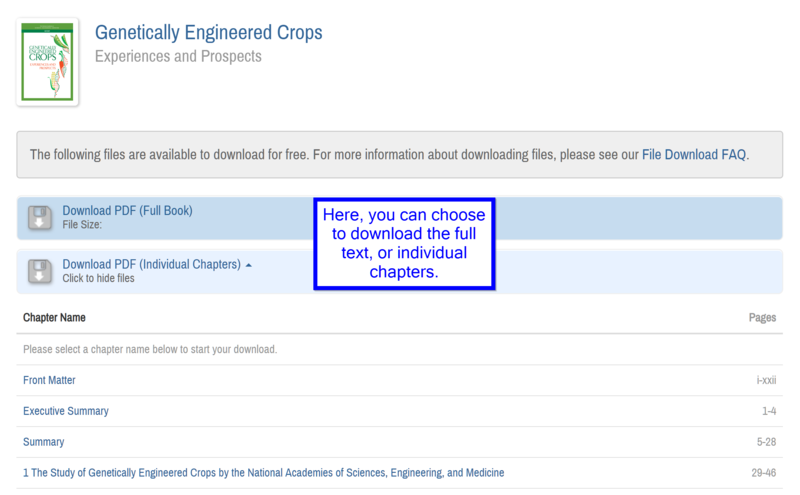 Once on the National Academies website, choose either "Download Free PDF" or "Read Online." Ignore all purchase options. 2. 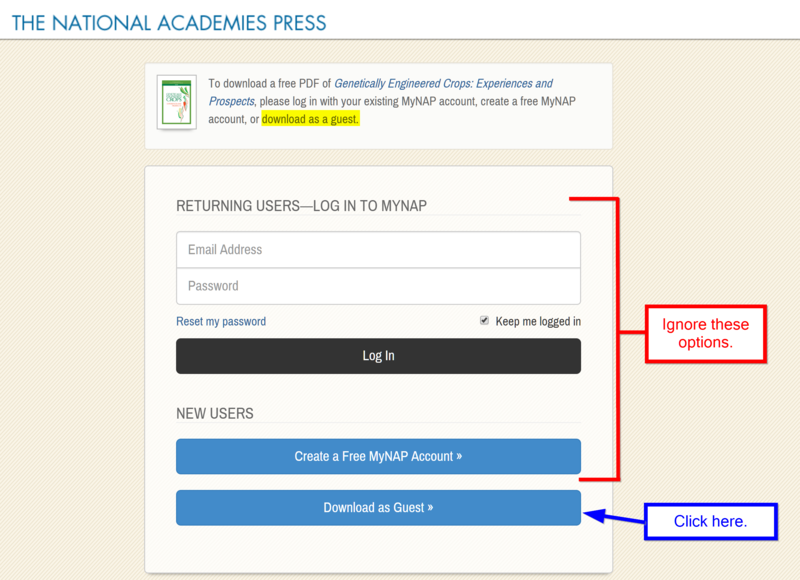 If you choose to download a PDF, there is an option to "continue as guest" rather than create an account with National Academies Press. 3. You will be prompted to enter your email address to access the download options (this is not the same as creating an account). 4. You will then be able to download the full book, or individual chapters, whichever works best for you! 5. Once the download begins, another dialogue box will appear. However, this information is optional, and will not affect your download. 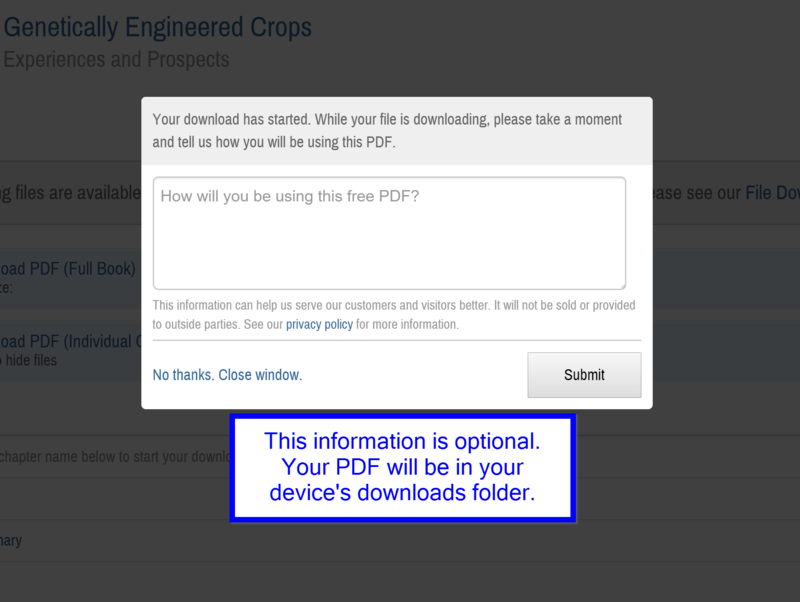 Check your device's downloads folder for the PDF.